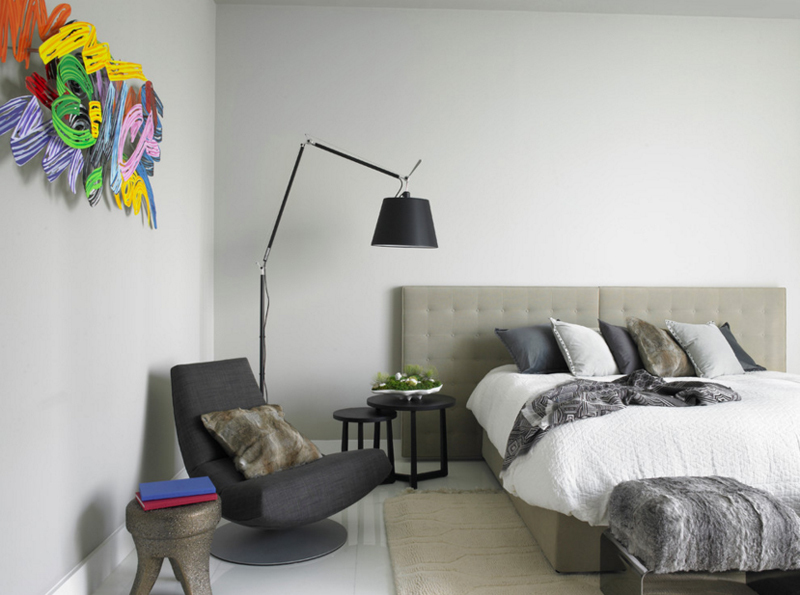 Add brightness to your bedrooms using simple contemporary floor lamps. For a change, I thought of creating a list about floor lamps – why not, right? I’ve been writing a couple of spaces with stunning chandeliers in them, and why not make one about floor lamps in the bedrooms right? 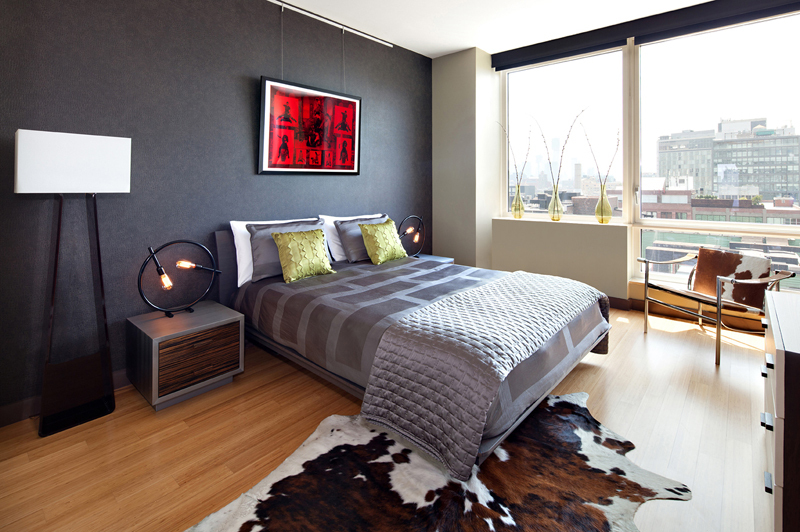 Today, like any other day, is a great day to look at fancy bedrooms and awesome floor lamp designs. Below, you would be seeing a list of 20 Contemporary Floor Lamps in the Bedroom; the bedrooms sure is something common that you’d be seeing, but the treat in this list are the awesome floor lamp designs that range from different sizes and shapes and materials. Some of the bedrooms and their lamps is something that you’d love, for sure; while some you might find common or ordinary, but I bet you’d still want to share the pictures in here too! Well this is one awesome bedroom to begin with! 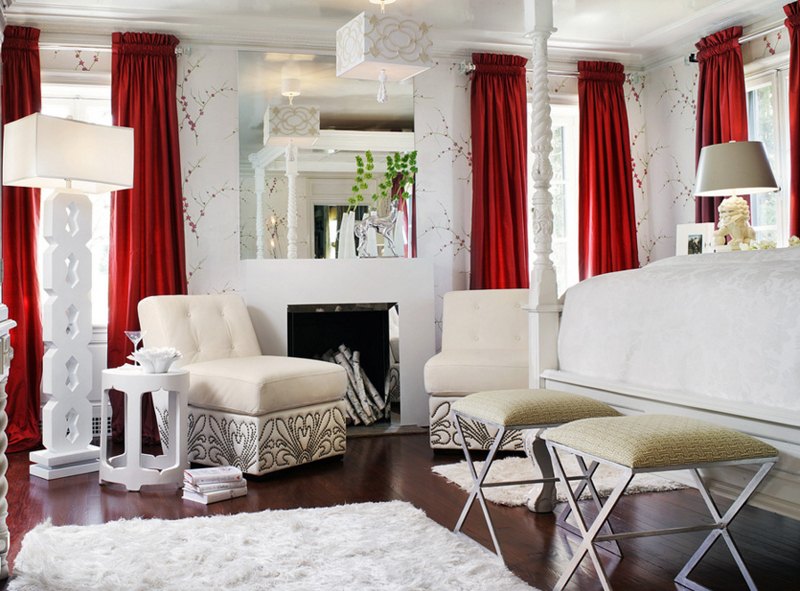 The white, red and beige combination sure is fancy; especially that they had tons of details in the walls, the chairs and even with the body of the lamp and the posts of the bed. Notice how much prettier this bedroom is because of the dark hard wood floors. Look at the lighting fixtures in this bedroom and tell me that you agree with me – the large floor lamp seems like the mother of the other two table lamps by the night stand! I mean, that was supposedly a joke; but I think you get my point, right? I do not really know if the floor lamp in this bedroom is intended for lighting the bed because there are table lamps already on each side of the bed; but anyway, you can never have too much light – is there? Except for the vases by the window, I would like to think that this bedroom belongs to a man. What do you think? Okay, so I would like you guys to admire the bed – its size is quite enough for two people, the arrangement of the night stands and the unique pieces of lighting fixtures on the sides is just perfect. 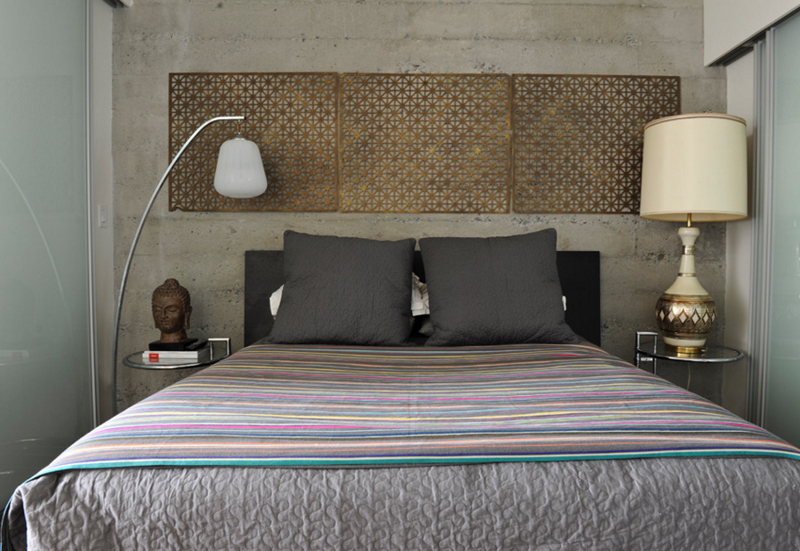 A modern approach to choosing lighting fixtures for the bedside. 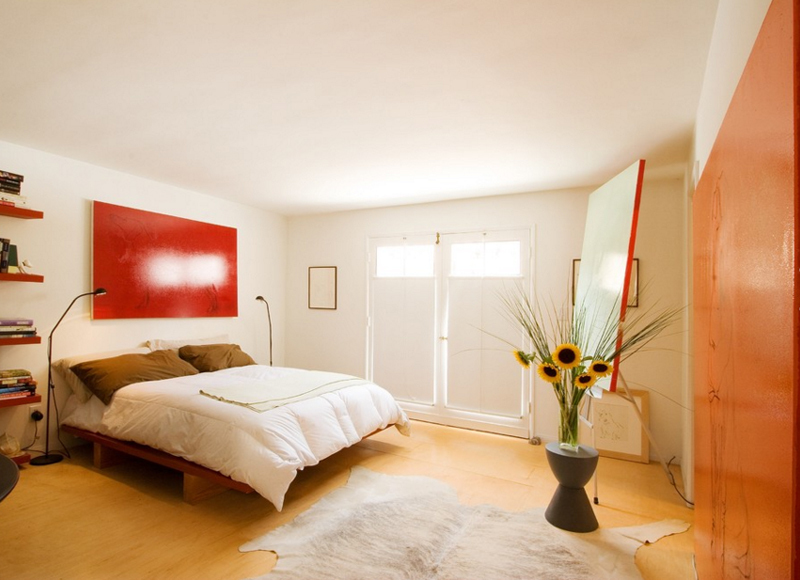 Now the color of this bedroom is something all young professionals would love. It’s not too light and yet it’s not too dark. The bedroom looks really comfortable even when all we see is one large bed, a night stand and a floor lamp and a painting; I think that sometimes comfort is seen at how much beautiful things are inside the space but at how much rest you think you can have in that space. 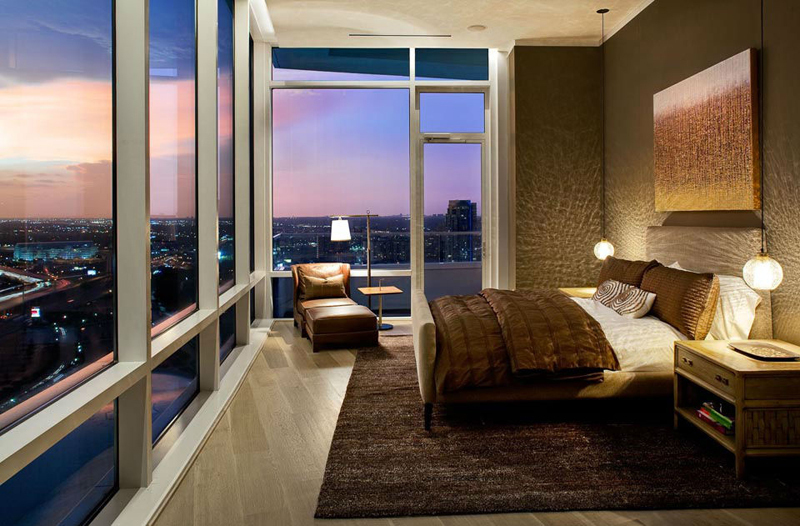 This contemporary bedroom is one beautiful sight to see. The colors used in here are fabulous! Its ideal for both women and men and I think even the teenagers in today’s generation would love to have a bedroom like this – comfortable, fashionable and would definitely not be out of style for a long time; and don’t you just love the drop floor lamp? I like how simple this bedroom looks but somehow it seems really fancy. Maybe it is because of the colors chosen that seems expensive and real classy. The modern grey chair looks great matching the black lamp and night stand and the stand alone head board sure is interesting as much as the colorful decoration in the wall. I can’t say if it’s the design of the bed or simply the neutral colors used in here that makes me think that this is one awesome bedroom. The lightness of the space is something that one actually feel aside from seeing it and it really does have this nice aura that makes people seem to want to sleep in here. Whenever I try and find contemporary spaces (especially bedrooms), I always come across a couple of bedrooms in grey or in black and white. I can’t say that it’s one definition of being contemporary, but it sure is one common thing in them. In this bedroom, we see grey linens that is paired with a white arm chair, white head boards and pillows and one stunning black floor lamp. I know that the tripod floor lamp in this photo is quite far, but because of its size, you can surely see it well. The white color of the lamp is nice, pretty common but something worth the buy; it goes well with any color combination and goes well with any room in the house. I think that the body of the floor lamp is very nice and the bed frame is pretty neat too. Tell me that you actually see the floor lamp in this photo. I know that it could be a bit tricky – but it’s actually there! The sleek design fits the requirement of this bedroom; the size and color blends well with the furniture closest to it – even with the drapes and all. 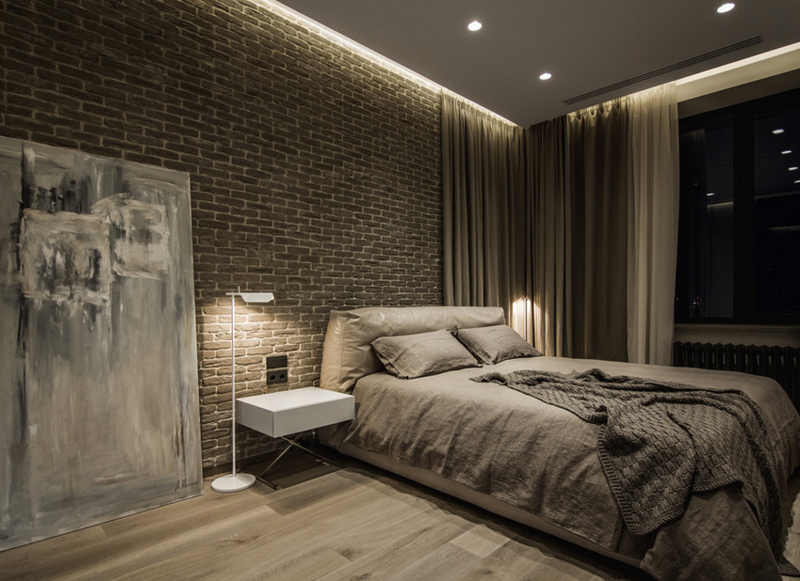 When I first saw this bedroom, I noticed the unfinished walls which are just adorned with that bronze-ish wall decal. I mean, I think that the decorations in here along with the beautiful lighting fixtures are great, even the bed, as a matter of fact – I just think that they could have done something for the wall. Just saying. This bedroom sure looks like a small hotel room with the comforts of home. I love the fact how this bedroom has the most comfortable looking bed and chair with the most simple yet contemporary looking furniture and decorations; and what do you think about the floor lamp by the window? 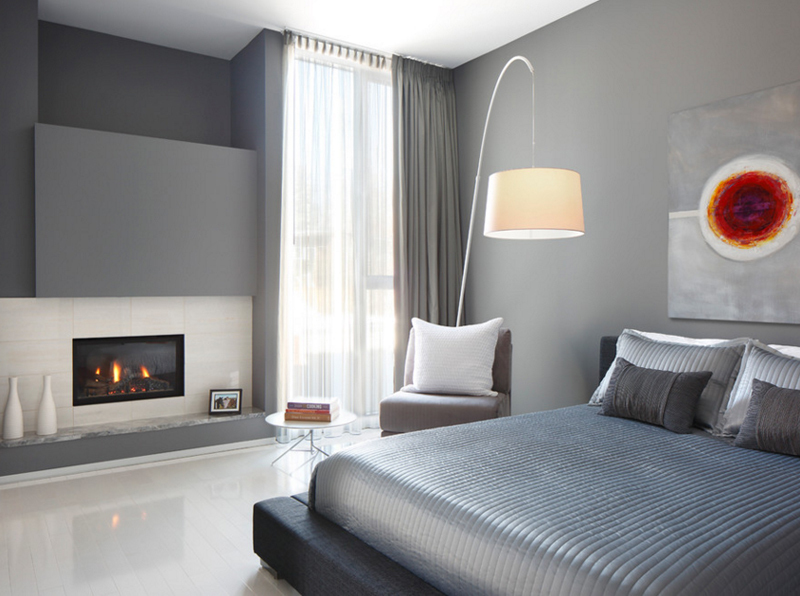 This bedroom sure has a couple of lighting fixtures! Who said that you can’t have it all? Kidding aside, I think that is a wonderful space with the right amount of being contemporary, a bit vintage and a whole lot of pretty. The color grayish silver sure is something we can add as a never-dying color trend that will surely last a long while. Well, having a bedroom this large would be real nice – the bed looks large enough for two people, even three! The animal fur on the floor is a nice thing to have since there are tons of space on the floor; I think that the lamps are enough for the perfect lighting since this space is really for sleeping, but I’d personally want something bigger. The tripod floor lamp by the window sure is slim and very contrasting with the large, bulky arm chair and even with the large bed too! The silky beddings sure look like it’s very comfortable and smooth. I would want this for my bed but in a different color! This bedroom sure has a fancy setting and location! The color is something I can consider because of the fancy finish on the wall, the carpet and the large windows! Well, this space happens to be in a hotel and its just perfect. Another large bedroom with an awesome bed and a large arm chairs to match! The color combination of this bedroom is neat and ideal for people with partners; but of course, being single and all doesn’t mean you can’t have awesome bedrooms like this one! This is one simple bedroom with all that one needs in a bedroom. A comfortable bed, lighting fixtures, a neat arm chair and maybe a decent night stand or desk. I do not really understand why this bed is in the middle of the bed though, but I’m guessing this bedroom is staged. 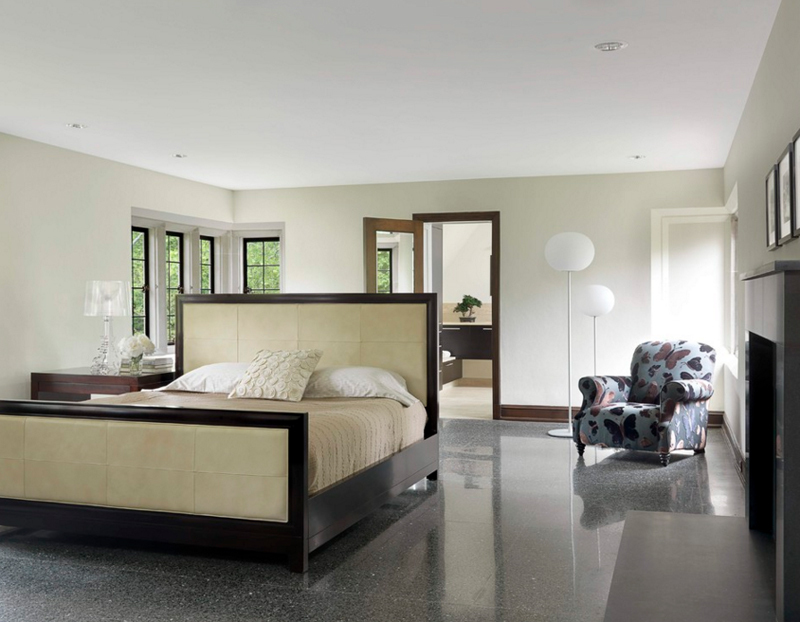 Now, this one contemporary bedroom is one neat space to end this fancy list. The arrangement and design of this space is common in this list and you can definitely determine one contemporary bedroom from the next and I think that like most of the rooms in here, you’d love this one too! If you actually loved the bedrooms in this list, I hope that you actually share them with your friends; so that they can admire the spaces too! 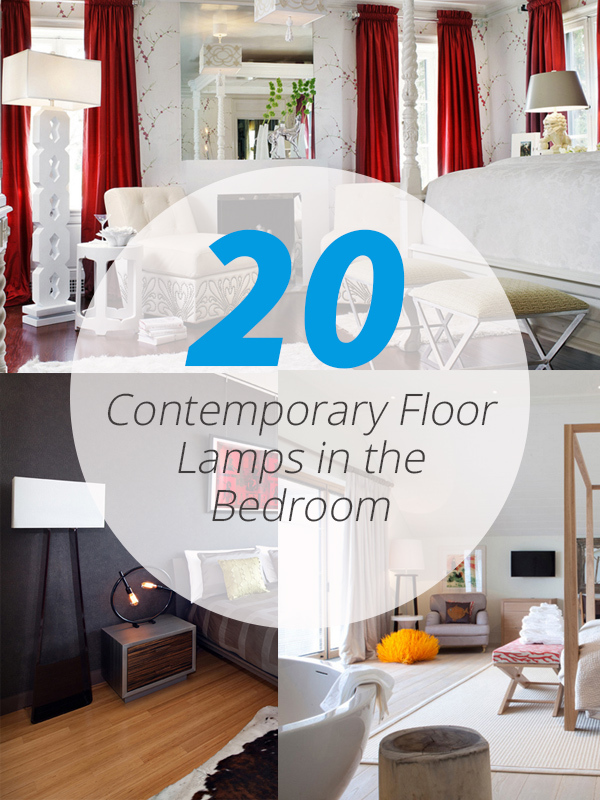 If you have the time, you can also check out the list about the floor lamps in other areas of the house and share them with other readers too! More awesome bedroom designs here in Home Design Lover!